Standard approaches to gender mainstreaming are based on the assumption that empowering women "outside" the household domain will automatically increase women's bargaining power within households. For successful gender mainstreaming, in order to empower women, experience has shown that it is not enough to promote their participation in community decision-making and in the workplace or the market. It is also vital to address their status and their role within the home. Household Methodologies are participatory approaches used to promote equitable intra-household relations, fair division of labour and shared decision-making processes. GALS comprises of a series of specific participatory processes and diagram tools that enable household members to negotiate their needs and interests to find innovative, gender-equitable solutions in livelihoods planning and value chain development. It aims to give women as well as men more control over their lives as the basis for individual, household, community and organizational development. GALS is not only a ‘methodology for women’, but a mainstreaming methodology for women and men to address gender issues important to the effectiveness of any development. How can we enhance the integration of the Gender Action Learning System (GALS) and Household Methodologies in project design and implementation? In every country, conditions are different, how do we adapt GALS throughout the world? How do we measure the impact of GALS integration at project level? 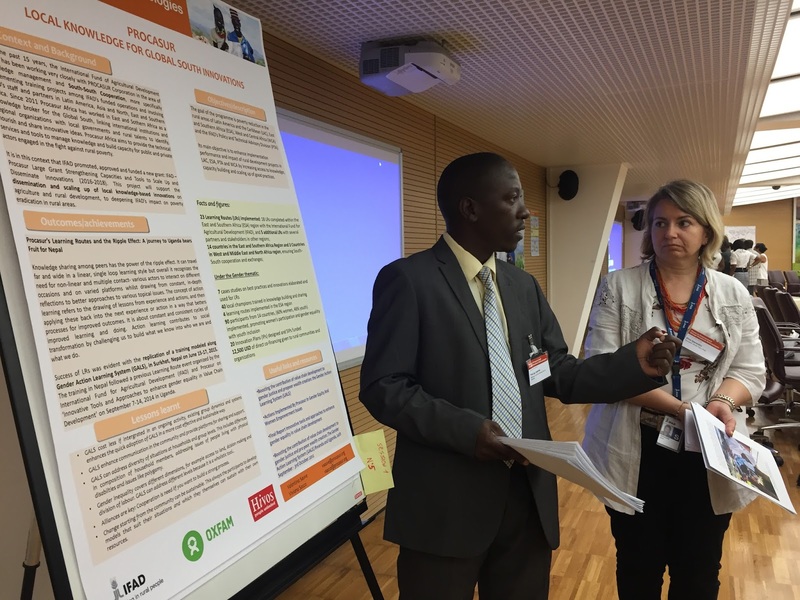 These and many more were part of the pertinent questions raised during the Forum on Empowerment through Household Methodologies organized jointly by IFAD, OXFAM and Hivos, and held in Rome between the 27 and 29 of June, 2016. The forum was held in order to capitalize on the positive results so far and to meet the high demand for GALS, identifying partners that can bring household methodologies and GALS to scale, through sharing of experiences, exchange and replicating. PROCASUR having worked on several learning initiatives on the GALS methodology was pleased to attend the forum and contribute to the discussions. 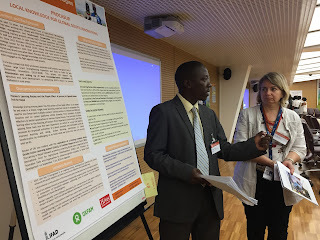 PROCASUR had a poster session on the use of the Learning Route (LR) methodology as a tool to scale up the GALS methodology, based on our experience with LRs focusing on GALS. The forum was well attended by practitioners and key players with a special focus on GALS. There were also valuable contributions from experts and champions in household methodologies, including from IFAD supported projects in East and Southern Africa (ESA) and West and Central Africa (WCA) and observers from NGOs, UN agencies and private sector. Several presentations of experiences with household methodologies and GALS were made highlighting challenges, achievements and impact. Participants discussed how the approaches have been used in value chain development, rural finance and extension services. Fred Iga Luganda, a gender and micro-finance expert and consultant on gender related issues in PROCASUR implemented learning route projects gave his contribution on the modalities of using GALS methodology to understand gender and to boost financial inclusion. Gender roles, status and relations vary according to place (countries, regions, and villages), groups (class, ethnic, religious, and caste), generations and stages of the lifecycle of individuals. Gender is, thus, not about women but about the relationship between women and men.’ As the world strives to overcome poverty, especially in rural areas, it’s observed that women tend to be disenfranchised most due to gender biases noted above. Women in particular fail to access financial services which in most cases has affected many households and children. Women tend to be entrepreneurial and their inability to have access to financial services affects their self being, children and entire household. In developing countries, where poverty is prevalent, women face a lot of gender biases which affect their participation in the financial system. In a nutshell, gender biases do affect financial inclusion if we do not pay particular attention. It’s no doubt that, many interventions have been designed to enable access to financial services by disadvantaged communities. Microfinance in particular was at one point referred as a magic bullet for poverty. Conversely, many developing countries report on average 30-40 per cent of their populations being financially excluded. A huge chunk of the noted figures isin rural areas and gender plays a huge factor to their exclusion. Financial inclusion and rural finance has been majorly looked at in perspective of individuals, leaving out the households, which may be stifling development in long run. Taking a closer look at households, enables us to analyse gender and see how it impacts financial inclusion. Using Gender Action Learning System, which is a household methodology being usedin many developing countries especially Uganda, Zimbabwe, Nigeria, Sierra Leone and Rwanda, communities use the GALS tools like the Financial Vision Journey, Financial Inclusion and Social Empowerment Maps, and Financial Inclusion Challenge Trees to analyse gender in financial inclusion. Using cases from Bauchi state in Nigeria, we discovered that, though the Central Bank of Nigeria had defined financial inclusion, communities using the savings and loans, microfinance institutions and some state officials did not know about this strategy, and neither was their understanding same as that of the Central Bank of Nigeria. A divergence of individual dreams, household aspirations and non-alignment with Financial Service Providers, complicates serving of clients and also fitting with national vision. Using the Financial Vision Journey provides a clear message and analysis of whether institutions’ actions are translated into reality (Social Performance Management). Through the Financial Inclusion Trees, the dimensions and key performance indicators of Financial Inclusion are tested, solutions are generated and SMART actions can be sought. Analysis of factors affecting dimensions from an individual, institutional and national point of view; enables practitioners and policy makers to understand challenges in financial inclusion. Financial inclusion and social empowerment mapping helps providing a clear analysis using gender to analyse power dynamics and relations with institutions, friends and others who can help towards achieving dreams and aspirations. The ultimate goal for everyone is to be empowered. Gender is important in financial inclusion debate, our understanding and use of gender could go along way in solving poverty in communities.Using GALS tools provides a platform for creating awareness of gender, financial inclusion and how both gender and financial inclusion are intertwined. Most important is the ability to create dialogue and get a win-win position to empower and create an inclusive environment for all. 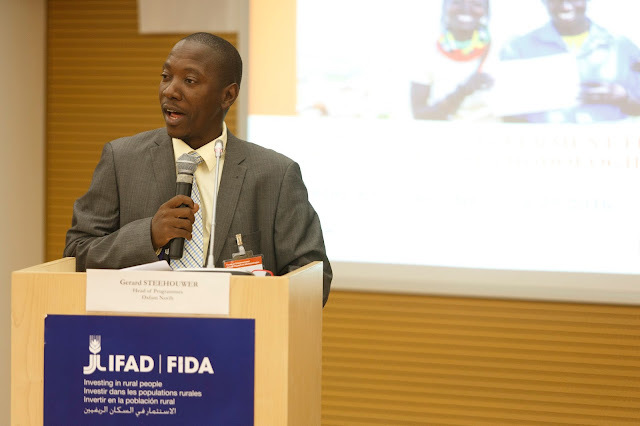 Fred Luganda is the Micro-finance and Gender Expert, Technical Coordination of Learning Routes for PROCASUR Africa. Viviana Sacco is the Regional Coordinator West and Central Africa for PROCASUR Africa. Valentina Sauve is the Regional Coordinator East and Southern Africa for Procasur Africa.